When we take the legendary route, the ancient city of Idalion (or Idalium) in Cyprus was supposedly founded by Chalcanor, the Achaean hero of the Trojan war, who was also the descendant of the founder of Salamis. And interestingly enough, beyond mythic origins, archaeological evidence indeed suggests that the city itself was inhabited at least since the Late Bronze Age (the period the possibly corresponded to the events of the Trojan War), and it boasted not one but two acropoleis that loomed over a lower town. The remains of human occupation of the surrounding areas hark back to an even older epoch from circa 7th millennium BC. The island of Cyprus was an important trade center and cultural “crossroad” in antiquity, controlled and influenced in different periods by the Mycenaean civilization, the sea-faring Phoenicians and the Philistines of the Bible, Archaic Greece, the Persians in Mesopotamia, Egypt, the Roman Empire and even Christian Byzantium. Cyprus also influenced other cultures as well, as evidenced by the presence of Cypriot copper and pottery all over the Mediterranean world. 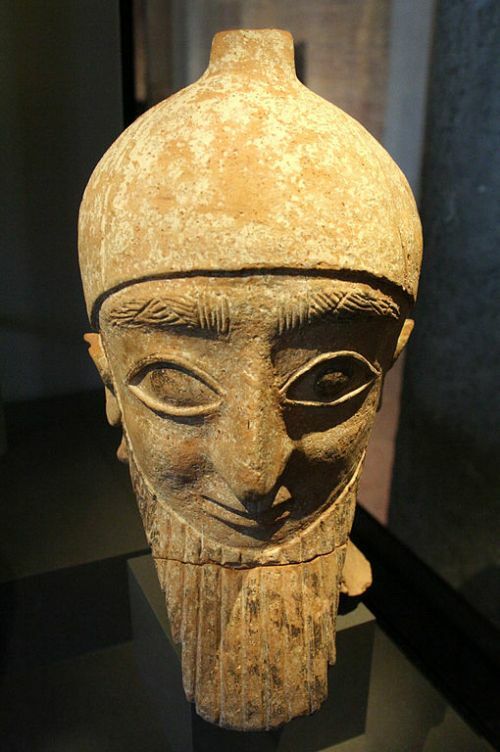 Now what historians are certain about Idalion relates to it being one of the influential city-kingdoms of Cyprus during the Iron Age and the Classical period (in accordance with the Esarhaddon Prism of 7th century BC). In fact, unlike the political system of other neighboring Cypriot city-states, the Idalion constitution boasted some elements of democracy, circa 5th century BC. In any case, during this time period, the settlement finally fell to the combined forces of Persians and Kitians (from the city-kingdom on the southern coast of Cyprus). And quite intriguingly, the Kitians themselves were governed by a Phoenician dynasty, which possibly led to the influx of many Phoenician settlers into Idalion itself. The present archaeological site of Idalion comprises the core administrative center of the city-kingdom, which entailed the palace stronghold on the terrace below the western acropolis (the main fortified area of the city) used during the Cypro-Archaic and Cypro-Classical period (circa 750-310 BC). 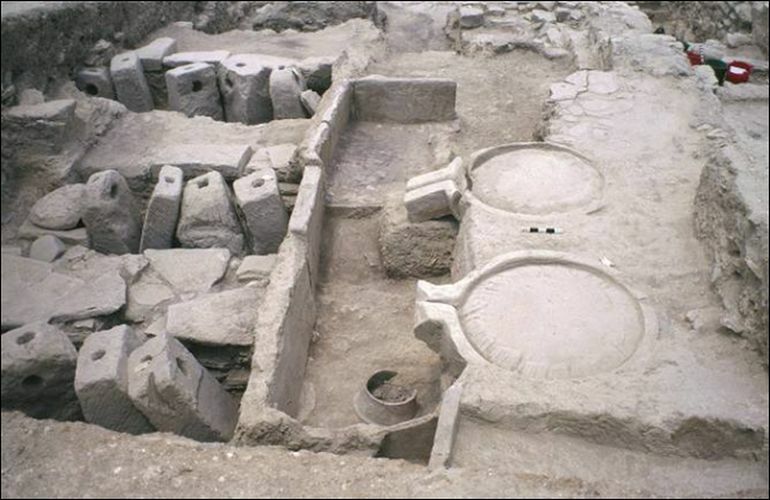 And much like the renowned Knossos palace, this well-preserved stronghold was found to have massive spaces for commercial purposes, including large olive press installations, storage rooms with huge pithoi (containers), and even expansive residential quarters on the wings for guards and elite members of the administration. Beyond monumental (and practical) spatial arrangements, the Idalion palace also boasts its fair share of around 800 inscriptions, with most of them being curiously presented in the Phoenician (along with a few Greek specimens, in the Arcadocypriot dialect). This fascinating ‘entanglement’ of Phoenician and Greek went beyond just languages to account for cultural and religious systems. 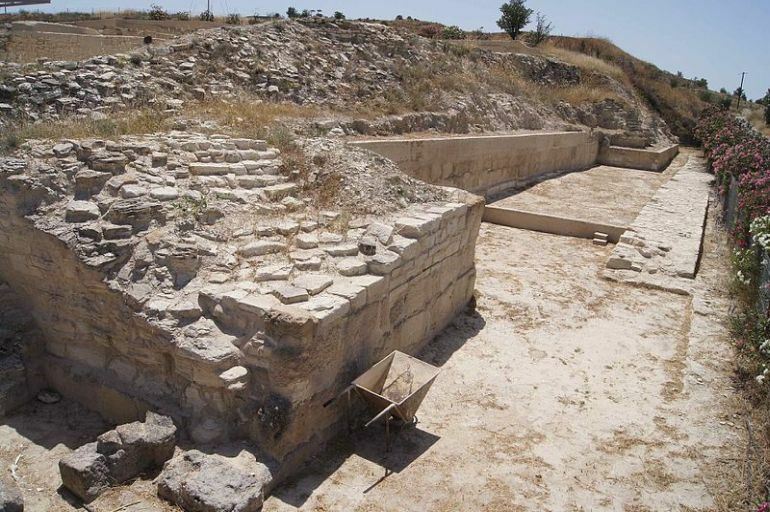 For example, the aforementioned palace stronghold contained the Temenos (precinct) of Athena, a goddess whom the Phoenicians of Idalion identified with their own Anat. Similarly, the syncretic scope stretched to the nearby Temenos of Apollo, whom the Phoenicians identified with their Reshef. 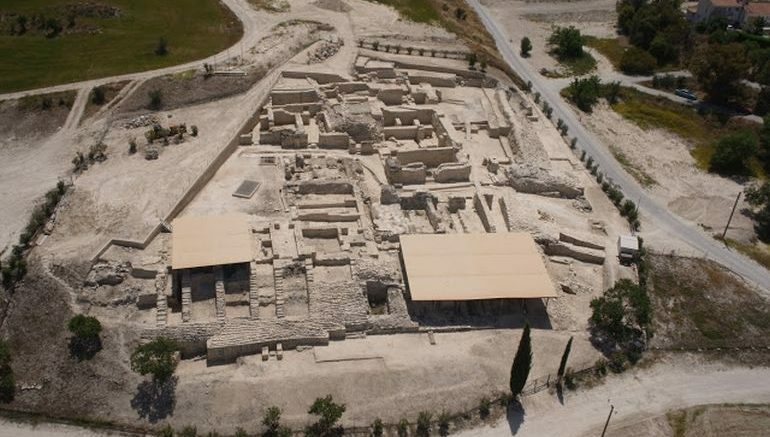 Encouraged by this vibrant multicultural historical legacy of the ancient city-palace of Idalion, the Cypriot Department of Antiquities, Ministry of Transport, Communications and Works announced the opening of the Archaeological Site of Idalion to the public on October 3rd.